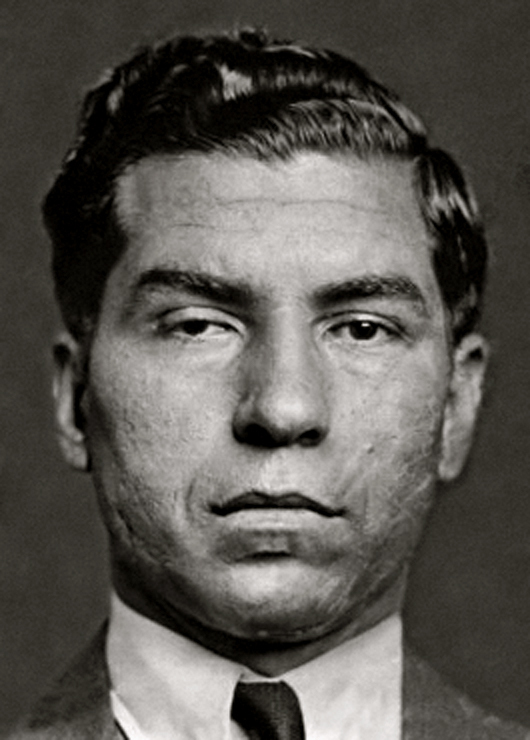 From the day Luciano (born Salvatore Lucania) emigrated from Italy with his parents at age ten, he embraced criminal activity, beginning with strong-arm robbery, shoplifting, and extortion, and soon graduating to drug dealing before entering the organized underworld of New York City and rising to the top of the various rackets. By the early 1930s, Luciano had become capo di tutti capi (“boss of all the bosses”) and in 1934 succeeded in organizing criminal enterprises nationwide into a kind of cartel or syndicate of unprecedented power and influence. Successfully prosecuted by New York’s Thomas E. Dewey in 1936, Luciano was given a 30– to 50–year sentence, ruling his criminal empire from his cell. In 1946, his sentence was commuted to deportation. He then continued to influence American criminal enterprise even from abroad.